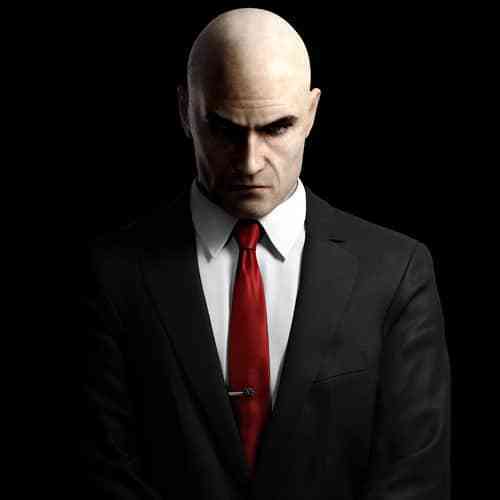 The sky was the limit for Hitman after a superb second episode took Agent 47 from Paris to the streets of Italy. 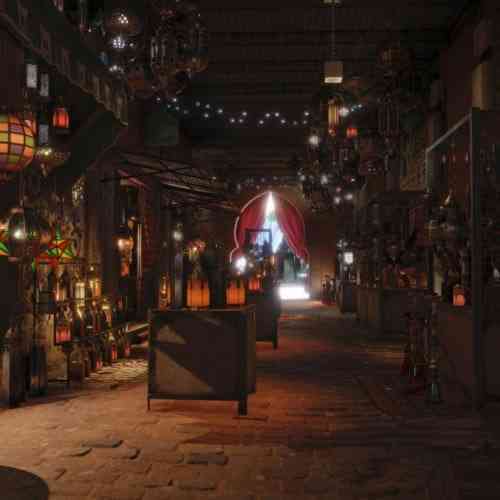 Marrakesh is the new destination this time around simultaneously serving as the midway point in the adventure chronologically and middling in its quality as well. 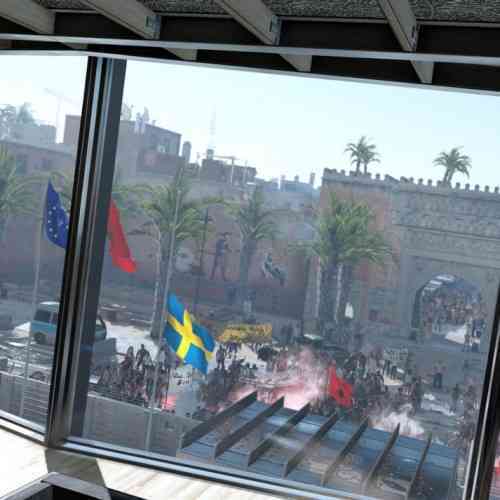 Dual targets are on hand again in this operation as Agent 47 is tasked with taking down a general concocting a coup de ’tat and a former bank CEO at the center of civilian protests hiding in the safety of the Swedish Consulate. 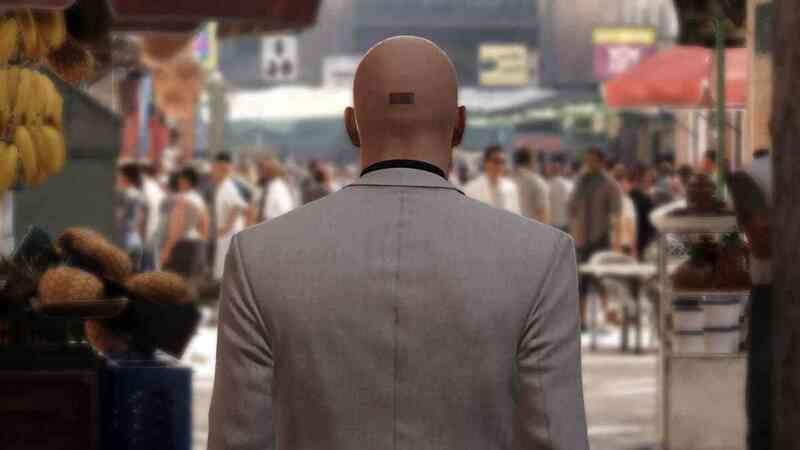 The assignment’s opening puts you in the middle of a situation on edge but it doesn’t deliver the same tension as it sets up primarily due to the sheer number of enemies surrounding each target, adversely restricting the sandbox aspect so vital to Hitman’s identity. 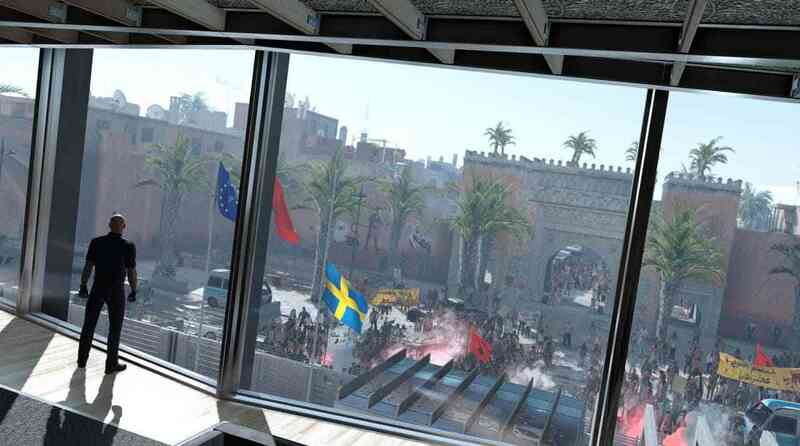 The sandy Moroccan environment isn’t as inspiring as Sapienza in the last episode, and I felt IO Interactive could have done more with the Mediterranean backdrop other than to include a busy bazaar and private shisha club. While the camel monument overlooking a growing crowd looked nice, the NPC’s with American accents didn’t blend in too well with the Arabic banners and veils among protestors. Episode 2’s Sapienza continuously revealed detours and underground passages that encouraged exploration and looking for unorthodox means to take out targets. Marrakesh is predictable, and when you finally get into position to plan out your final strike, the joy of the kill is deflated by the environments’ inexplicable need to funnel you towards one method of attack: a simple choke kill or a shot from across the hallway. 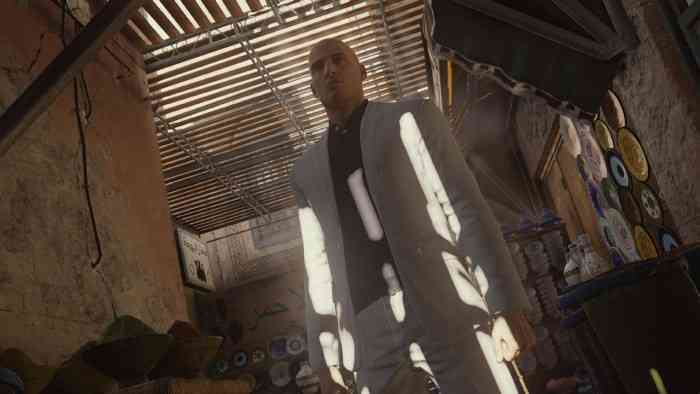 Although Marrakesh certainly shares similarities with what has come before as a hat trick of episodes have now consistently offered a paltry amount of narrative content. If the game insists on telling a thread bare story, it should at least give players a wholesome introduction cutscene involving the main villain – I don’t think I’ve ever heard his name – on top of the mission briefing and the final, solitary scene at the episode’s conclusion. 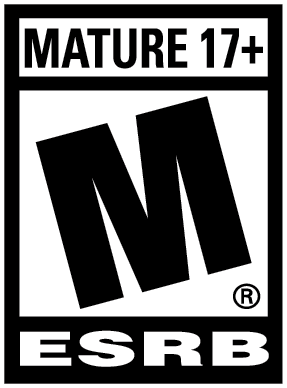 It puzzles me to think of how the developer can wrap up the story – one that seemingly hasn’t gotten past what the first act contains – in the remaining two episodes. 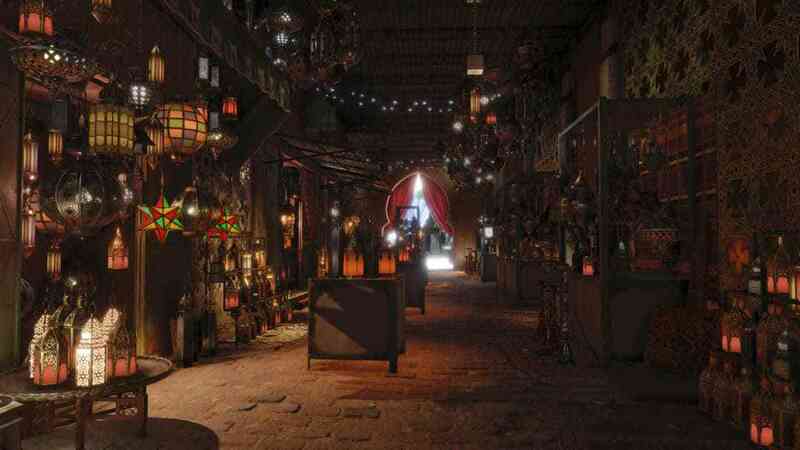 Marrakesh ends with Mr. Mysterious nowhere to be seen and only clocks in at just under 2 minutes, and yet it manages to set up an explosive finale that, without giving too much away, might capitalize on all the potential the narrative had in the first place. It just feels like a crime to create a serious and character focused assassination narrative only to take an episodic approach bereft of exposition. 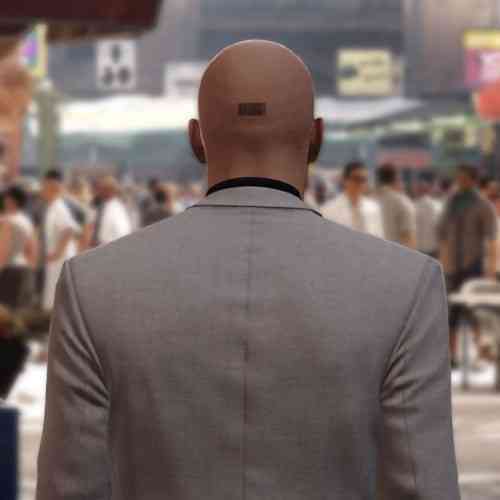 It will probably take you longer to read this sole paragraph on the game’s story than to watch the bookended cutscene that ends Hitman’s third episode. 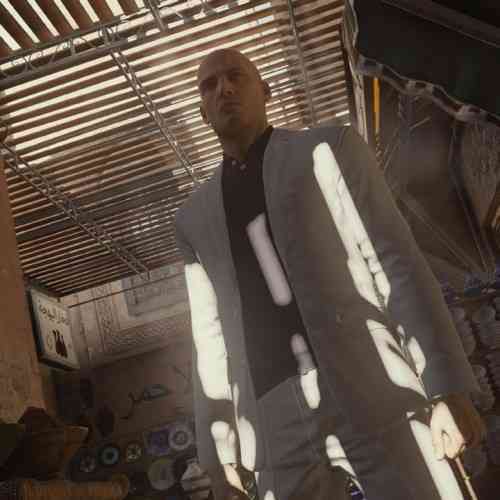 Marrakesh falters in its volume of storytelling and willingness to let the player in on what’s going on behind the scenes and in between episodes. Its insistence on surrounding the targets with dozens of guards limits the scope of the Hitman sandbox that the previous episode excelled at and the setting is neither unique nor immersive. It’s a misstep in almost every way as there’s little to nothing that was improved on from the first two episodes, instead continuing to deliver a snippet of a great story and restricting the play space and what can be done within it.